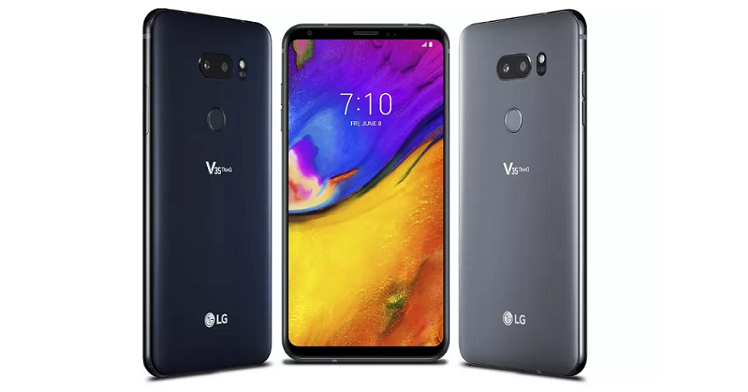 The LG V35 ThinQ has now been unveiled in India the US as speculated by reports earlier. The handset was supposed to be an AT&T exclusive and the reports were exactly right. 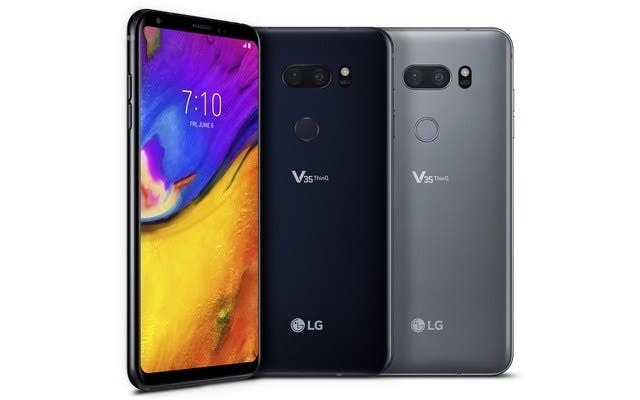 The handset is essentially an LG G7 in spirit and an LG V30S in design. However, it does have more RAM and battery and a different display to the LG G7. Like we said, most specs are carried forward from the G7. The screen, however, doesn’t sport a cut-out on the top bezel. 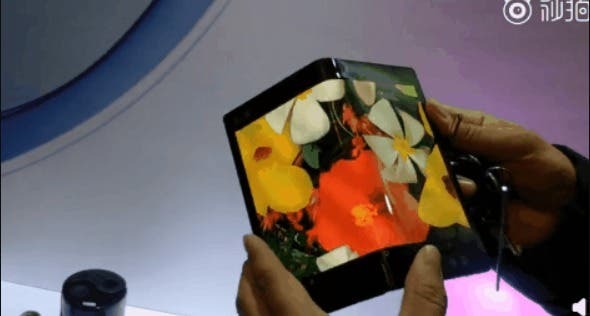 It’s a 6-inch OLED FullVision display with QHD+ resolution layered by Corning Gorilla Glass 5. It also has waterproof (IP67) ratings and US military-grade certifications. That tough build is sandwiched between two glass sheets though. On the inside, the LG V35 ThinQ uses a Snapdragon 845 chipset with two storage variants. Buyers can get either 64GB of storage or 128GB of storage with 6GB of RAM. LG carries forward the whole camera array of the G7 over to the V35 ThinQ. This eliminates much of the difference between the two flagship ranges. So, you have the same two 16MP rear shooters with Super Wide Angle configurations. Of course, you’ll find AI features galore in the camera UX. There are 19 shooting modes, AR Sticker modes, Super Bright Camera mode and so on. On the flip side, the V35 ThinQ houses an 8MP shooter. Moving on to software, the V35 ThinQ brings Android 8.0 Oreo to the table charged by a 3,300mAh battery. It also has wireless charging. Too bad the promising Boombox speakers of the G7 don’t make it to the handset. But you do get the 32-bit Hi-Fi Quad DAC, so that’s nice. The LG V35 ThinQ is priced $900 which is a lot to ask considering the V30S ThinQ goes for $150 less. That’s probably for the 64GB variant. The 128GB might be costing even more. It can be bought in two hues – Aurora Black and Platinum Gray. LG does have plans of a release for the LG V35 in other regions across the globe but the exact dates are not yet known.